The Deep See Big Squeeze Knife features a patented locking mechanism that securely locks the knife in the sheath, but releases easily with the squeeze of the handle. 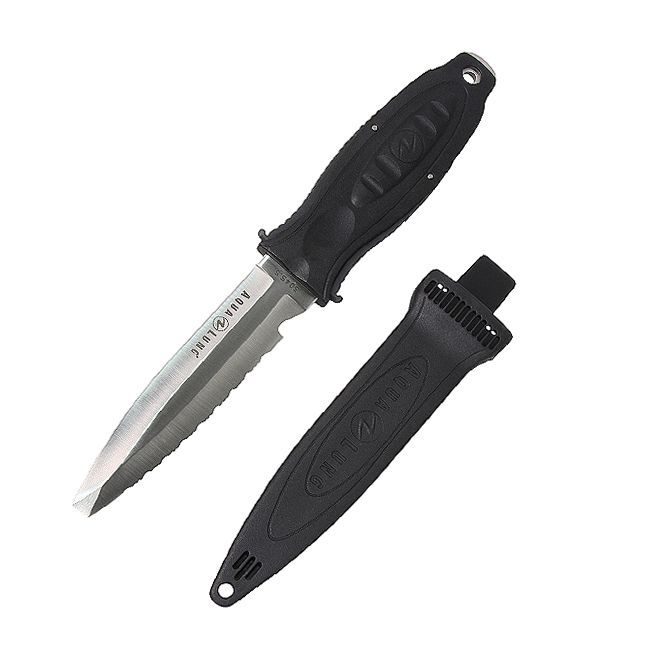 The blade features a serrated top edge and a built in line cutter. Rubber leg strap included.